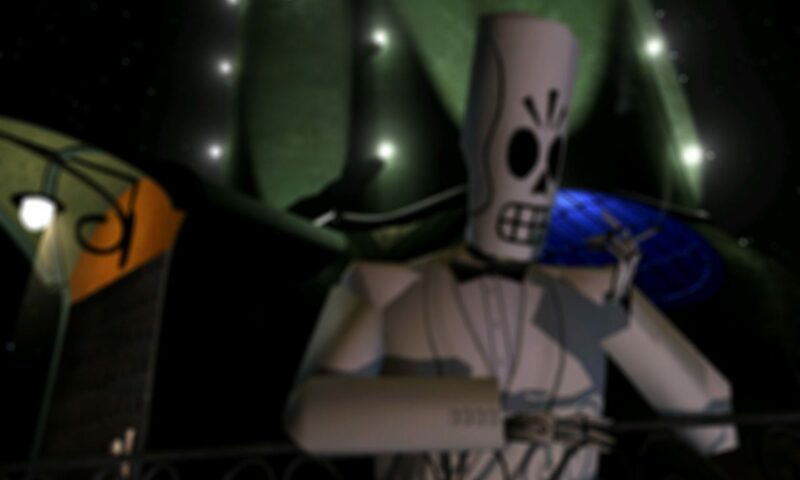 Composed by Peter McConnell, Grim Fandango features a timeless soundtrack that brings the game’s world to life. With influences and genres including bebop, big band, jazz, swing, and traditional Mexican music, the soundtrack is a joy to listen to whether playing the game at the time or not. When the original soundtrack went out of print shortly after its 1998 release, LucasArts gave the Grim Fandango Network permission to make it available for your enjoyment. The soundtrack was revamped for Grim Fandango Remastered with certain bits of instrumentation re-recorded. The music on this page is not the remastered soundtrack, but the original we all grew up with and love. Of course, both have their place in any Grim Fandango fan’s collection. If you’d like the remastered soundtrack’s in-game music, you can extract it from your copy of the game. There’s also a purchasable remastered soundtrack that includes some of the cutscene music, which isn’t otherwise available without dialogue and sound effects played over the top. You might find that it’s available on subscription platforms such as Apple Music, Spotify, etc. The soundtrack CD released alongside the game.